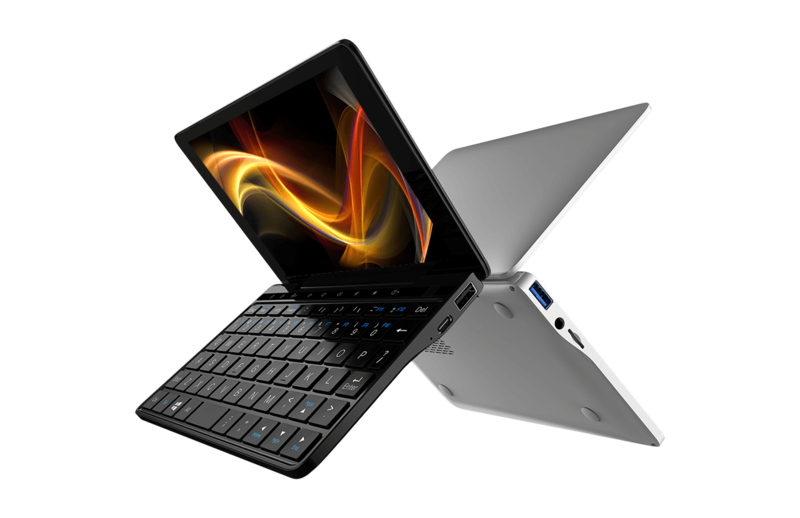 GPD Pocket 2 - Shenzhen GPD Technology Co., Ltd.
You can use PS to act on your inspirations, anywhere and anytime. Whether you are engaged in design work in: civil construction, decoration, industrial drawing, engineering, electronics, tailoring and so on, the GPD Pocket 2 is undoubtedly the best ultra-mobile productivity tool for you. At only 8mm at its thinnest section, the GPD Pocket 2 is 57% less thick than the previous generation GPD Pocket. It weighs only 510g, 410g less than Apple MacBook and 258g less than the Microsoft Surface Pro. With the built in Optical Finger Navigation, you can operate with one finger for 360- degree rotation and movement anywhere. It can also replace direction key, the effect is comparable to the optical mouse. The Pocket 2 can still support touch screen, multi- touch makes touch screen operation more convenient, you just need to click the screen to open a program. GPD Pocket 2 has a 7-inch IPS 1920x1200 resolution screen, delivering more colors and higher contrast. With a 323 PPI screen, it provides a bright Retina display experience with better in screen details than the MacBook and new Surface Pro. 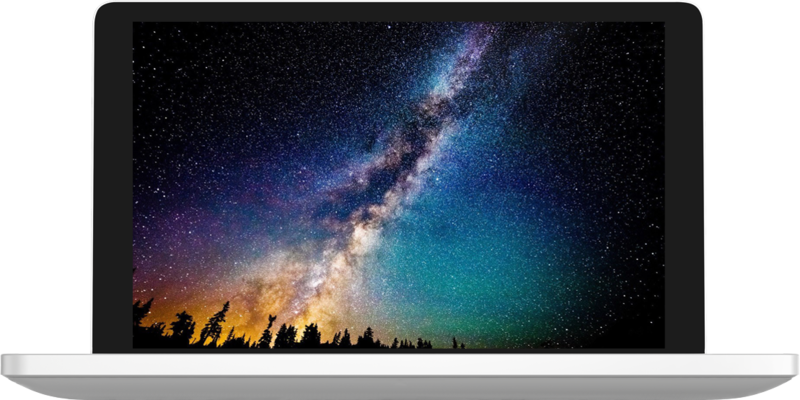 The IPS-based screen has viewing angles up to 178° in either the horizontal or vertical. Use of In-Cell full lamination allows the Pocket 2 to have a screen that is thin, thus reducing the weight of the device. 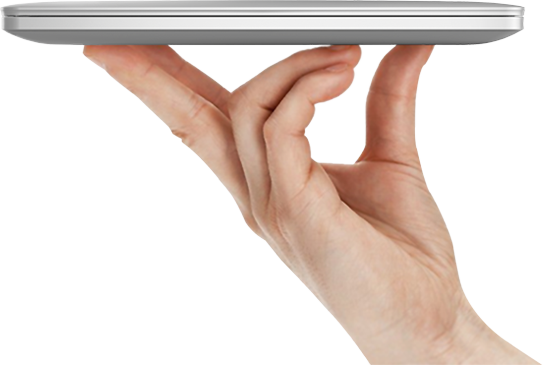 With a screen border of only 4mm, the Pocket 2 delivers an almost borderless viewing experience. 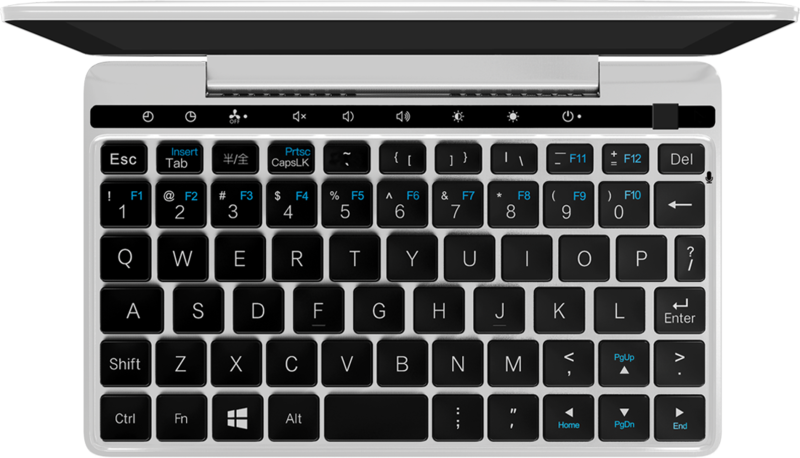 GPD Pocket 2 uses the same Intel Core™ m3-8100Y processor as the new Surface Pro. With 14nm fabrication, ultra-low voltage, low power consumption, 99.76MHz bus speed, 4GT/s OPI, the data transmission speed can read a peak of 4×10^9 times per second. It also has a 4 MB L3 Cache and provides fast and efficient processing and data recall. 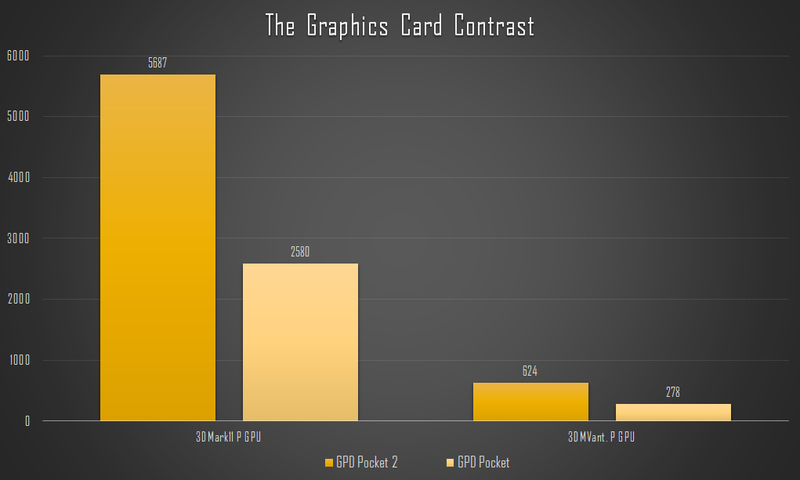 GPD Pocket 2 is equipped with ninth-generation UHD Graphics 615, featuring 24 Execution Units and a max dynamic frequency of 900MHz. When parallel processing of graphics data for high throughput, UHD Graphics 615 can boost up to 350% resulting in smooth graphics and video playback. The biggest advantage of the GPD Pocket 2 is its active cooling design. All the most popular ultra-thin laptops on the market do not use active cooling, leading to fast frequency-reduction once the processor hits thermal limits. This reduces their effectiveness for both work and entertainment uses. With its fan based PC-level cooling solution, GPD Pocket 2 provides great performance. Performance is definitely not discounted. Two USB A ports and one Micro SD card slot allows you to expand the storage to 2.4TB. The m3-8100Y supports the UHS 104 ultra-high-speed SD interface, with a bus speed up to 104MB/s. It also supports Micro SDXC cards. 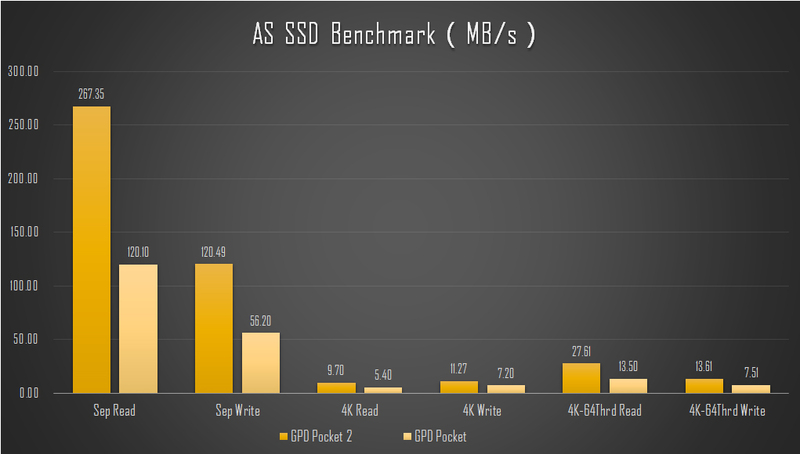 As tested, the read speed of a SanDisk 128GB Micro SD card was measured to be up to 88MB/s, and the write speed was up to 57MB/s.